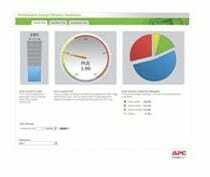 What value does data center infrastructure management software add to data centers? I think we’ve all met him – the data center operator who can ‘feel’ how his data center is performing – he simply walks into the room, can hear if anything is not working to its optimum, and maybe sticks a hand around the back of the racks to check that the cooling is ok. He has built up a lot of experience over the past many years, and a lot of decisions are made on gut instinct and having been there before – simply being good at his job. However, even experienced data center operators are beginning to struggle because data centers have changed – both the environment and what is housed in the data centers. Increased computing requirements have led to an increase in density over time and for the legacy data center this has meant an increase in energy bills, and cooling and power systems may have drifted out of balance. It only takes one new server to be added to the wrong rack to overload a branch circuit – and an entire rack will be down. With virtual machines an additional layer of complexity has been added to the data center, including constant capacity changes and dynamic loads – speeding up the need for decision making, and subsequent automation of the process, as there is less time available to wait for human intervention. First generation infrastructure management tools were limited in scope and needed a lot of human involvement; they could warn if a CRAC unit inlet temperature threshold had been exceeded, but not what equipment was affected by it or what could be done to alleviate the situation. The tools that are available on the market now will identify and solve issues with very little human intervention – and even predict the outcomes of server provisioning, enabling the business to make decisions which subsequently has an impact on energy usage and carbon footprint. Charge backs are also possible with these new tools, and can change the way a business makes its decisions by aligning energy usage to business outcomes. 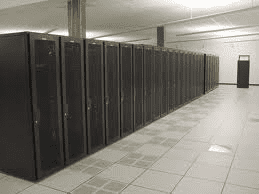 A lot of companies are currently looking to cut costs – in all parts of the business including the data center. DCIM Software will not remove the need for a data center operator, but it will help him make smarter decisions, especially as saving energy is becoming good business now. The US Department of Energy has made studies which show that energy costs are a substantial part of IT operations, in some cases exceeding the cost of the IT hardware itself! And IDC can add that what you will spend on power and cooling is growing 8X faster than what you will spend on new server hardware. Now I don’t know about you, but to me that sounds like a good business justification to take another look at DCIM software.